Engraved Rosewood Finish Chess Set. 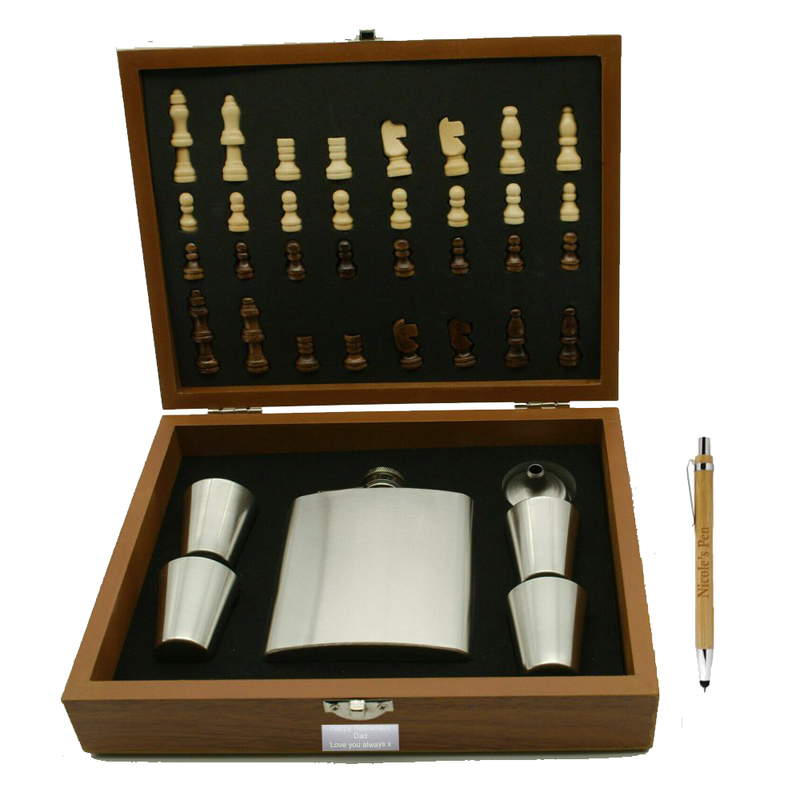 This beautiful chess set measures 9 x 10.75 x 2 inch and includes all the parts. Personalised with an engraved plate on the top of your box with your required text. Ideal for Father's Day, Birthday's, Anniversaries, Christmas.....it's endless!